Last week I had the food fortune to attend two great concerts. 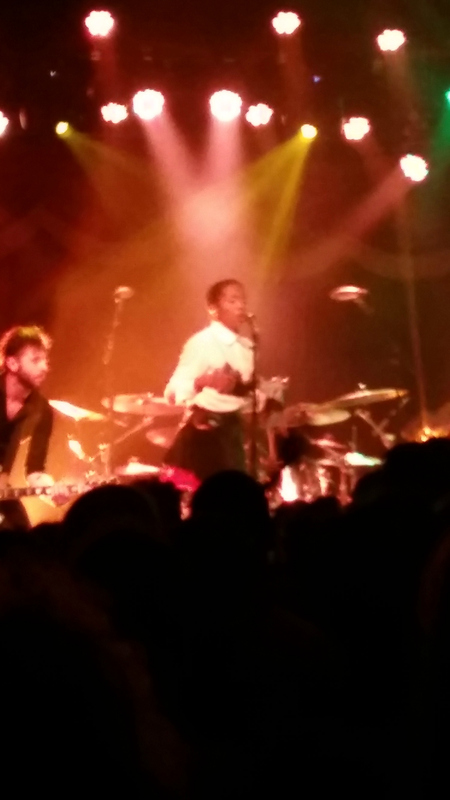 On Monday, Adrienne (aka @Full_of_Moxie) and I saw Ms. Lauryn Hill at Brooklyn Bowl. Forgive the photo quality–the lighting proved challenging. I really wanted to get a shot of her cute outfit but…it was not to be. I didn’t know what to expect from Ms. Hill’s performance going in, but figured one way or another, I’d get A Show for my $75 investment. Personally, I loved the show. Her voice sounded terrific and she was absolutely charming. While she could have easily rested on her laurels and performed the hits from Miseducation and Fugees days as originally recorded, instead, she, her talented back-up singers and band completely remixed the songs. 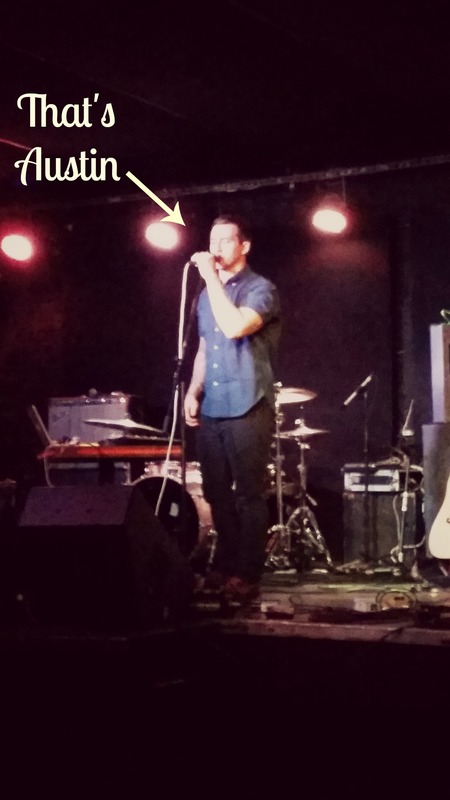 On Wednesday, @MegUrbani and I saw Broken Anchor at Mercury Lounge. It was SO good to meet my Twitter buddy, Austin Hartley-Leonard in addition to hearing him play live. He played my favorites including Stencil Heart. And then, a bonus: Austin played at least half of headliner Scars on 45‘s set. What are you listening to recently? This entry was posted in Music, NYC and tagged Austin Hartley-Leonard, Broken Anchor, Brooklyn Bowl, Lauryn Hill, Mercury Lounge, Music, nyc, Scars on 45, williamsburg on August 4, 2014 by onechicklette. Wow, Lauren Hill that must have been so awesome! So cool! I love smallish venue shows.